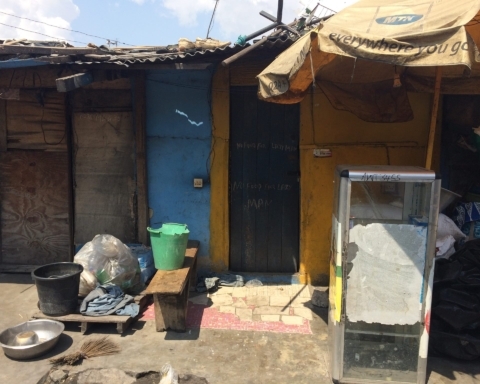 In May, African Urbanism contributed to MIT’s Community Innovation Lab (CoLab Radio) “Listening to the City” series. 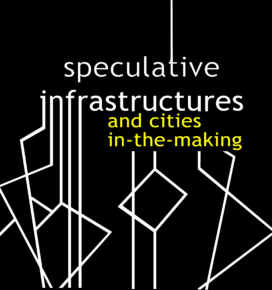 The series includes sounds from cities such as a market in Mexico City, a struggling street market in Thessaloniki, Greece, and sounds of Los Angeles’ street economy. What do other cities sound like? Read descriptions of other cities included in the series, or contribute your own. It’s Saturday morning and Kwame Nkrumah Avenue, a high-traffic and high-commerce road that links Accra’s Kantamanto and Makola Markets, is bustling. 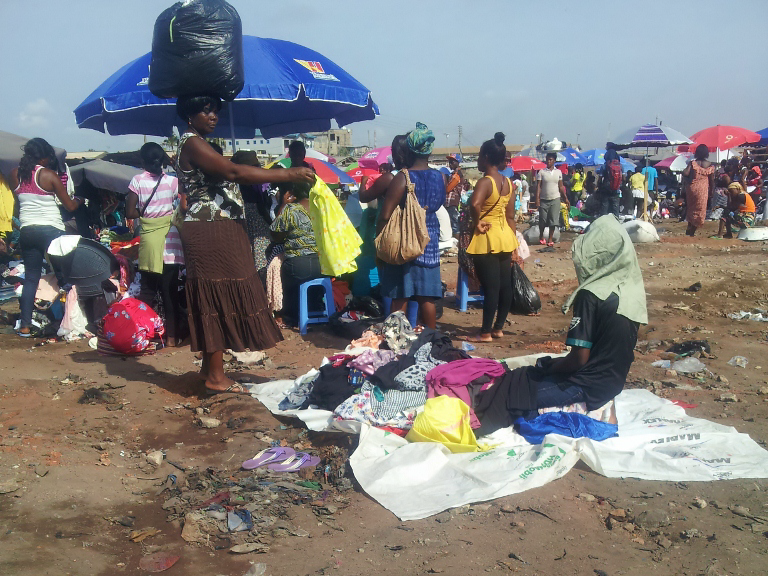 It’s Saturday morning and Kwame Nkrumah Avenue, a high-traffic and high-commerce road that links Accra’s Kantamanto and Makola Markets, is bustling. Walking the 100-meter length of Kwame Nkrumah Avenue from Commercial Street to Derby Avenue offers a glimpse into the lively economic activity at the heart of Accra’s busiest hub. 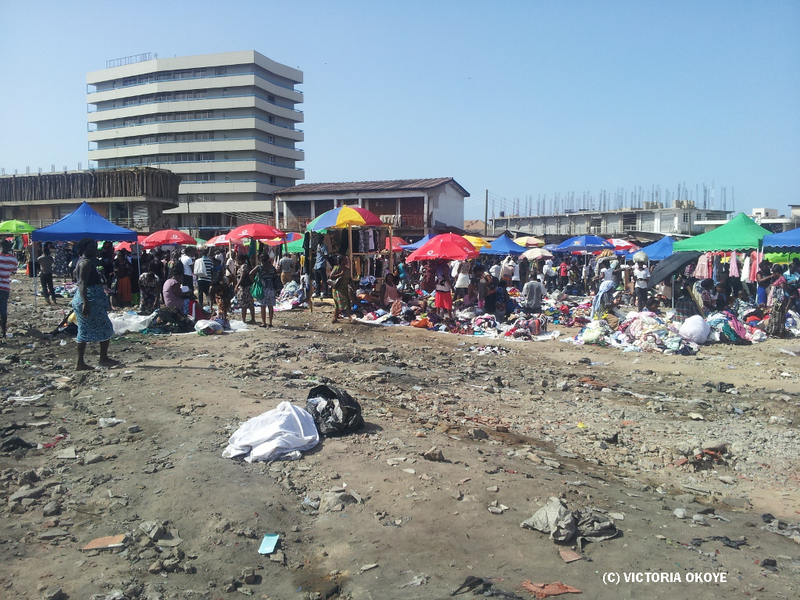 On one end of the avenue, Kantamanto Market has earned a reputation as the city’s most famous secondhand goods bazaar. 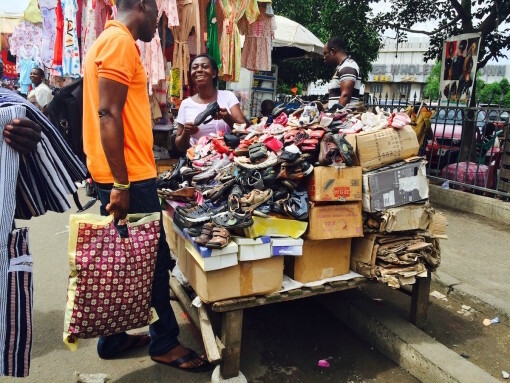 There, hundreds of traders have created an indoor/outdoor market for goods – from women, men and children’s clothes to curtains, purses, bags and shoes. 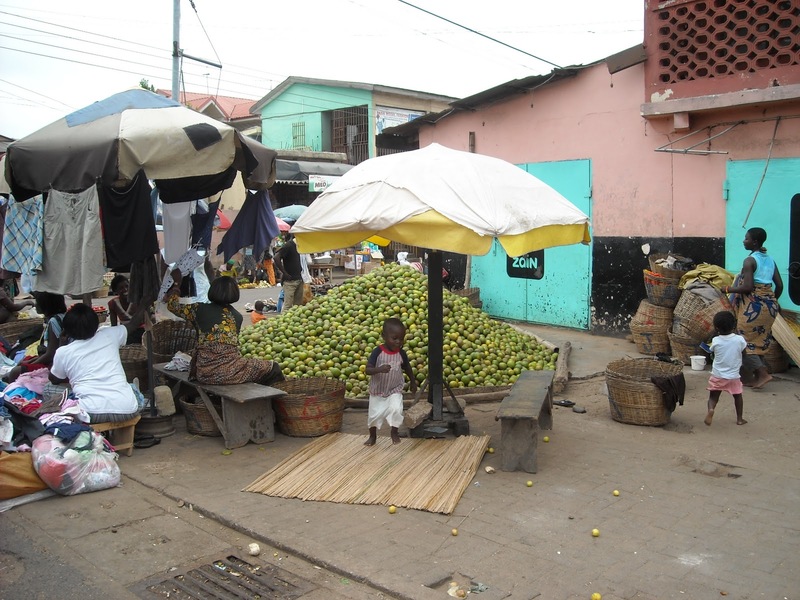 On the other end of the avenue is Makola Market, built in the 1920s in the heart of today’s Central Accra. By and large, the dominating sounds are the transport-related ones. The exhausted engines of vehicles stopped at the traffic light rise in rhythm to the signals of the device. When the light turns green, the vehicles shift into movement, continuing on their journeys. There is a regular series of trotros, many heading in the same direction. The trotro mates – charged with attracting customers and collecting fares holler out the destination of their vehicles. These ones are headed northwest in the direction of Kaneshie Market and the peri-urban areas of Kasoa, Kaneshie, Odorkor, and Mallam. The trotros rarely bear signs noting their destinations. Instead, the mates communicate it in typical style: verbally. Sounds of hustle: “Pure water!” calls a young female water seller, deftly balancing a load of water sachets and bottles on her head. It’s nearly empty now. Her eyes dart back and forth as she looks for potential customers in all directions. A man forms a kissing sound to call her, and she rushes over. To read the full article, view photos and listen to the sounds of Makola’s Kwame Nkrumah Avenue, continue reading here.